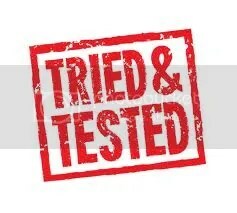 This weeks Tried and Tested Tuesday is for anyone who is thinking about getting a new sling. I’ve always carried my children, not only did I love having them close but also with Henry it was just easier as I also had a toddler I needed to chase around after. Darcie I wore until I was almost 8 months pregnant and could no longer fit her over my big belly. Henry’s a little different as at 11 months he’s already heavier than Darcie who is almost 3. This means the slings I have are already a little uncomfortable when wearing a little chunky monkey! So when the Close team sent through their Caboo DXgo for us to try, I was very excited to give it a go. First off I love the fact that there is an in built bag. 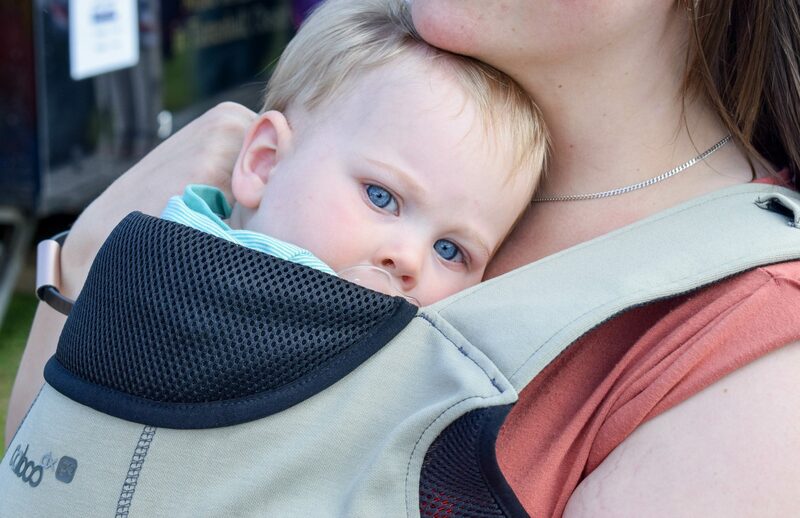 One of the biggest annoyances with the other slings we own is that when transporting them you literally just have to fold them and then hope for the best as they unravel under the pram or in the bottom of your bag. The fact this has a little bag ready for neat transportation was a big plus for me. 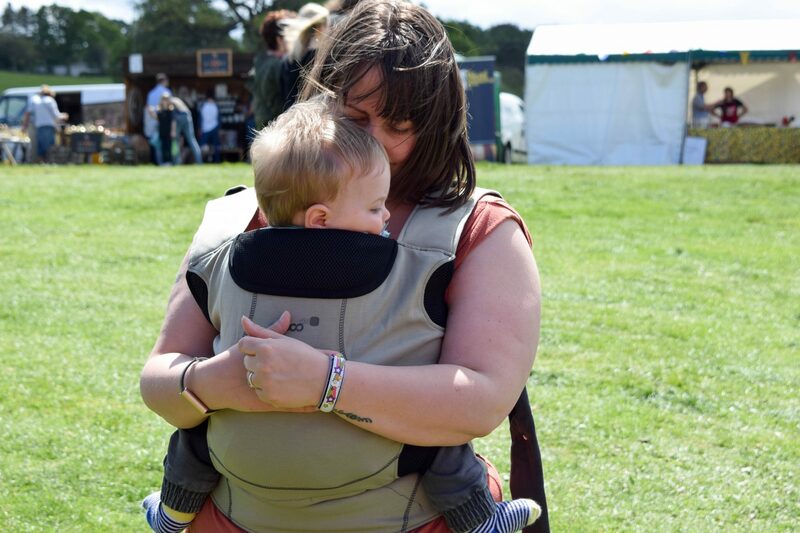 Once unwrapped, first impressions is this is a fully buckled, strong supportive sling perfect for a baby who is already edging his way up towards 2 stone! First time on, it was easy to put him into the sling and it’s super simple to adjust which is great. If you aren’t used to using them it could be a little confusing at first, but the instructions in the booklet are really clear for anyone who isn’t sure. It was comfortable to wear for me – no shoulder ache or back pain for a change – and it seemed to fit him really well even though he has little dinky legs (bless him!). Great for front or beck wearing, there is still plenty of room for him to grow though and I can see this being a really great option when he’s ready to go on my back. It even passed the Henry test as he quickly snuggled in and fell asleep in it. This is a great option for anyone looking to move on from a newborn wrap or baby sling into something a little more supportive and sturdy. This is great for when your baby grows and gets bigger and heavier. A natural progression from the newborn Close Caboo, the DXgo is a strong contender on the carrier market. I don’t think this would have been any good for my daughter when she was this age as she was (and still is) very small for her age so it’s only really now that she fits comfortably in it. Which is about right as the weight range is from 6.5 – 20kg and she’s only just recently hit 20lbs. However for a more average sized baby like Henry (who is already heavier than her! ), this has been ideal and the fact is comes in it’s own in build bag means it’s really easy to carry around ‘just in case’ as he’s the kind of baby that after an hour or so in a pram, he’s desperate to get out. I can also see this coming into it’s own when he’s older, walking and will no longer use a pushchair. This will be great to pop into the bag for long days out for when he gets tired and needs a little help. 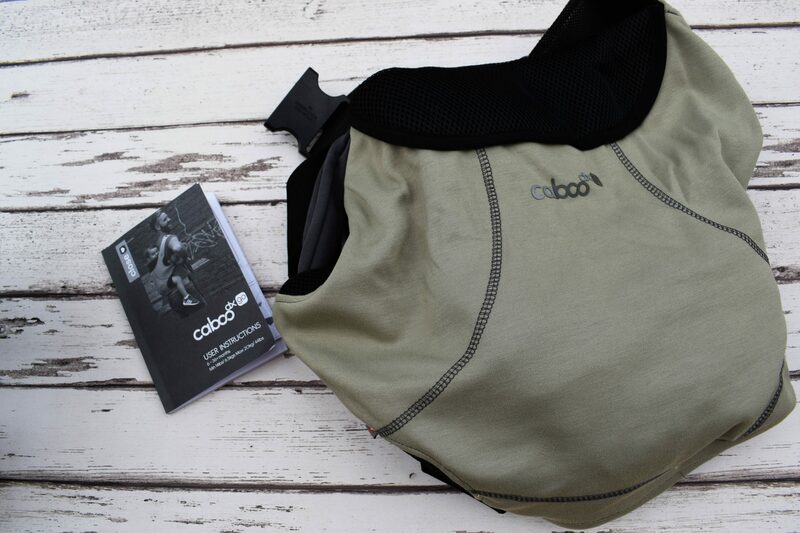 You can find the Caboo DXgo on the Close website and retails at £65.99, which for a carrier of this quality I think is very reasonable compared to many others you will find on the market. DISCLOSURE: I was provided with the Close Caboo in return for my honest review. As always, all opinions expressed in this post are my own. What a great product. I tried the close caboo when my little boy was tiny but this looks even better! Great review – love the shot of him tucked under your chin!